Got a penchant for eating people, killing for sport and chatting with velociraptors? You sure have a lot in common with Indominus Rex! Take your exploits a step further with this deluxe Indominus mask. You'll be just as intimidating as Jurassic World's apex predator, but at a size that's perfectly suited for terrorizing your own neighborhood. Just take it easy on the neighborhood kids... they won't have the benefit of having Owen Grady around to save their chops! "Watch your six. Raptors got a new alpha! 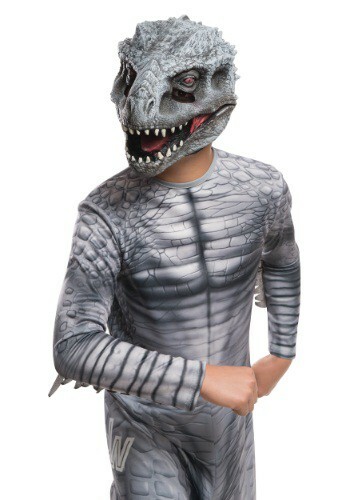 "If your boy is ready to take a job at Jurassic World, this costume is just the right style for him. He'll look just like Owen Grady, and we're sure the veteran velociraptor trainer would love having a new apprentice. He'll shape and mold him into being a top notch dinosaur wrangler, and teach him how to have a good head on his shoulders. We should all be so lucky to have such a great role model! 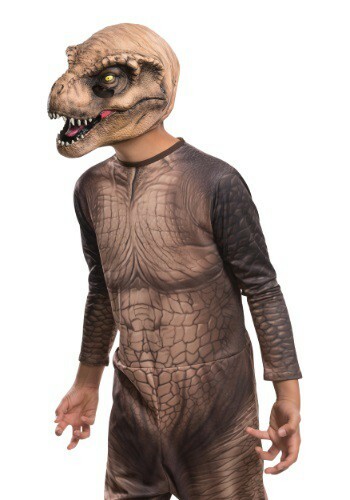 This costume recreates Grady's look from the movie, so even if your child isn't quite ready to ship out to Isla Nublar, he will be ready for a great time with his friends. Get him suited up with this officially licensed Jurassic World costume! Finally, an option for getting a Indominus Rex that doesn't involve pricey laboratory work! 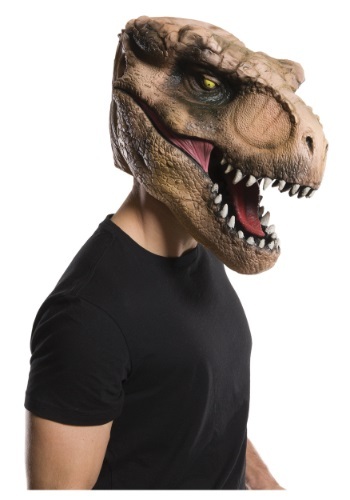 This easy 3/4 mask is the perfect way to complete your child's Jurassic World dinosaur costume. And without all of the messy gene splicing! They'll love getting in on all of the dino action, and you'll love having some extra teeth to bring along on the trick or treating rounds! These kids' Jurassic World Velociraptor claws have the look of terrifying dinosaur claws from the movie. They let your child look like the vicious predator that's he's always dreamed of being! And let's face it, transforming into a prehistoric killer is no easy task. These these gloves are a sure fire way to let him have the dinosaur fun that he craves!